Mommy Parties gave us the perfect excuse for a slumber party to celebrate Tiki Tribe: The Brightest Heroes on Earth. They all received some super cool superhero glasses, a very good book to read, and a poster. 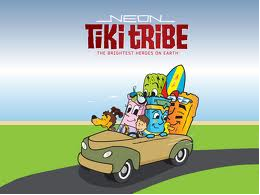 The Neon Tiki Tribe is a team of super-positive super-heroes featured in this all-new book series. Showcasing rich colors, moral stories, and a font created to help the nearly 1 in 10 kids with dyslexic symptoms, these books all have a moral story and serve as great conversation starters with parents, grandparents, and care-givers. We had an awesome time learning about this new product that has positive influences on children today! Thank you Mommy Parties and makers of Neon Tiki Hut! 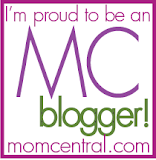 Make sure you "Like" them on Facebook!